In few other industries is equipment subjected to so much abuse as the mining industry. Materials with weak properties just don’t cut it! 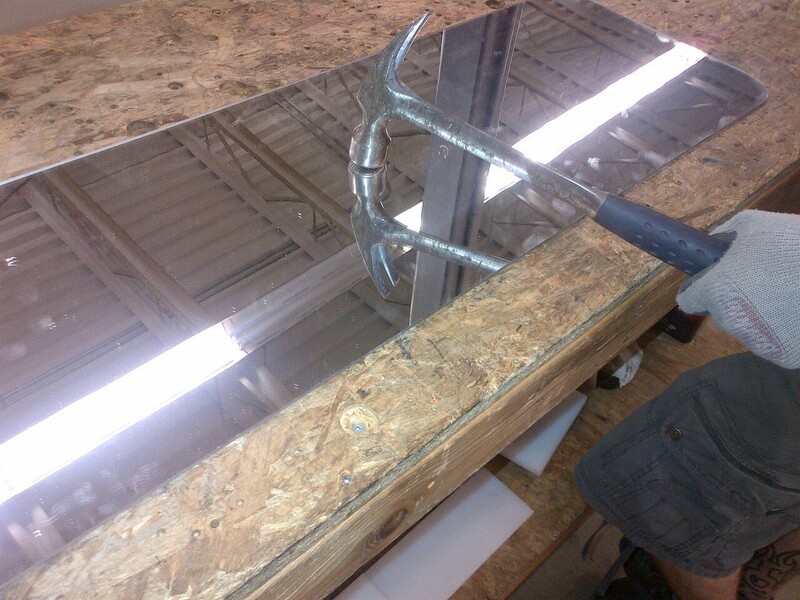 One piece of equipment that gets overlooked (until it fails) are mirrors for trucks in the mining industry. Years ago we were approached to assist in finding a solution for a mine as their truck mirrors were cracking and breaking due to impact and vibration. It ended up being a fairly straightforward product – mirrored polycarbonate. The polycarbonate comes in 4′ x 8′ sheets, given your measurements (length, width and corner radius) we can fabricate a mirror. 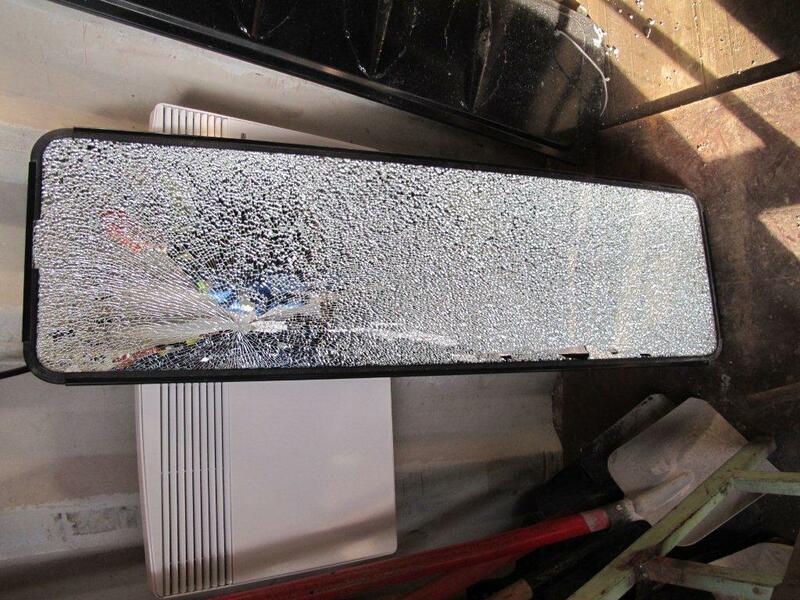 To replace a broken mirror you simply take the broken piece out of the gasket set up and slide in our mirror. Polycarbonate is incredibly impact resistant and works very well in this application. We’ve supplied them as far away as Ukraine. In fact, they’re so popular that our Vancouver branch keeps a small stock of certain sizes as inquiries continue to flow in. If you have any questions about this product or would like a quote please contact us. As pictured above, haul trucks and shovels used in mine sites have assigned numbers on all sides of the equipment. Currently made of aluminum and coated in reflective adhesive, these numbers are up to two feet tall and are typically tacked on with rubber-backed mounts. Maintenance employees of many companies have expressed how unhappy they are with the integrity of these numbers. They get heavily abused and the grommets break and need to be repaired. Redwood Plastic has found a unique plastic solution to solve this problem. 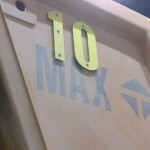 Starting with High-Visibility colored Redco 500 plastic, the numbers are water-jet cut and bolted to metal backing plates. 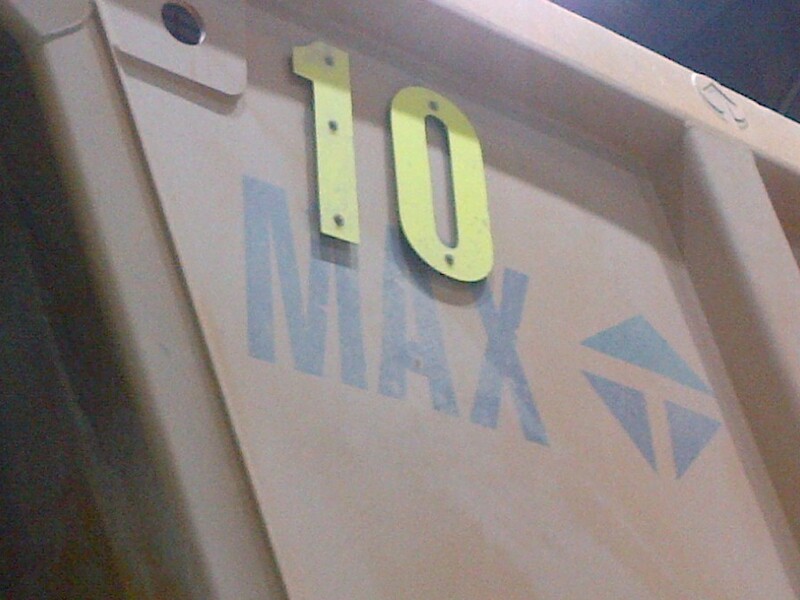 The backing plates offer a strong foundation to tack the numbers to the equipment with welds that will hold strong without breaking.These highly visible numbers are much stronger and can withstand more wear and tear than the old material. Prolong the life of your chain and save costly downtime. Redco UHMW Channels reduces wear on your chain, decreases noise, and saves maintenance costs. Redco UHMW channels are extruded and are designed to fit most bulk material handling chains. Already available in a wide variety of profiles, we have added two new profiles – 81 X E Trak Channel and 81XHH/C188 Channel. Because of the abrasion properties of Redco UHMW channel, it will outlast steel in most applications, and unlike metals, it will not rust. Applications include sawmills, planer-mills, pulp and paper, coal, cement, paper, grain, mining, and manufacturing. Lengths are stocked in 10′ sections. Click HERE to view a PDF of all our standard and custom profiles. Redco Polyurethane & Rubber dump box belly pads and dragline house rolls protect costly equipment from damage and keep workers safe amongst massive equipment. These parts are fairly large and carry a hefty cost from the OEM manufacturers. The dragline house rolls aid in guiding the massive shovel cables and keep them away from the operator’s cabin. The belly pads fit between the box and the frame of the dump trucks. The units use ten pads per truck and are part of a regular scheduled maintenance. Contact Redwood Plastics with Your Application Frustration. An easy to install drop in liner for hoppers with impingement and impact wear problems. Plastic liners ideal for sand or crushed rock in-feeds and hoppers in aggregate, concrete batch plant and mining applications. This new system involves Redco 430 cast directly onto a steel leading edge protector molded to the dimensions of the sides of the hopper. Installation is fast and easy and can be replaced with very little down time. Redwood Plastics offers on site liner installation support. Contact us for more plastic liner solutions that can increase production and save wear on your equipment.